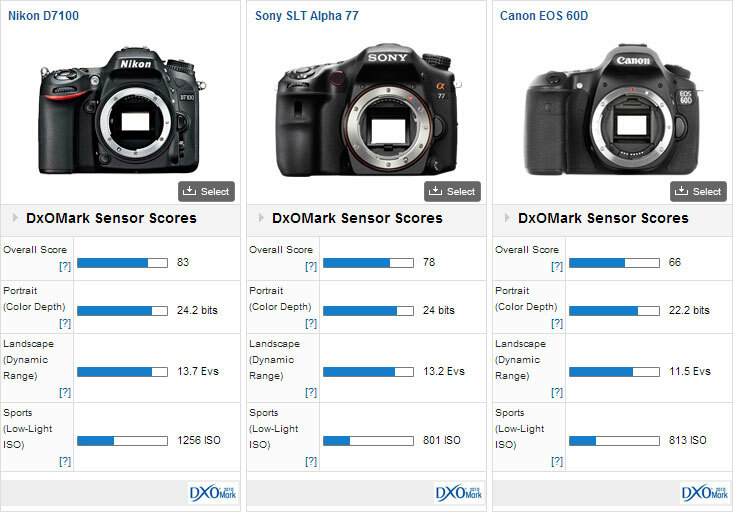 DxO Labs performed their benchmark testing on the new Nikon D7100 and published the results today. The camera ranks among the best DX-format DSLR with outstanding color depth and dynamic range, besting even the full-frame Camera 6D in those aspects. Given the APS-C sensor size, it performs well at high ISO, but does not approach full-frame sensor cameras. The Nikon D7100 outperforms its predecessor, the D7000, although the margin is quite small. Current D7000 owners may elect to skip a generation for maximum upgrade benefit. Those upgrading from earlier or lower-end DSLR will immediately see the benefit of the latest technology. Nikon has an advantage over the competition, with the D7100 performing nearly a stop better in low-light performance compared with the Canon 60D and Sony SLT Alpha 77. The image sensor in the D7100 is the same as the Toshiba-produced sensor found in the Nikon D5200. 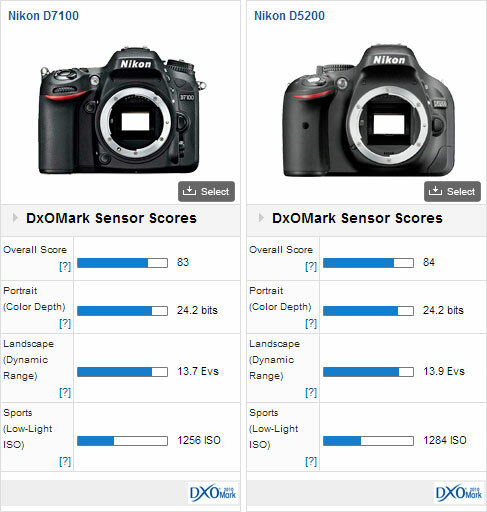 The two cameras differ in features but overall image quality is nearly identical, well within the margin of error of DxO tests. Given that the D7100 lacks an anti-aliasing filter, one might expect the D7100 to noticeably surpass the D5200, however the DxO tests did not reveal any measurable difference. One should note however that DxO does not include sharpness in their camera scores. The cameras may differ when using a high-quality lens. Because it lacks an anti-alising filter, the D7100 should be able to resolve more detail than the D5200. This entry was posted in Comparison, Nikon D7100 on March 27, 2013 by D7100 Admin.